The Deutsche Dystonie Gesellschaft e.V. (DDG) was founded in 1993 by Didi Jackson and has just celebrated its 20th Anniversary. The DDG under the chairmanship of Ute Kühn since 2005, has now a membership of over 1700 Dystonia patients. Apart from 34 regional Dystonia groups all over Germany, we have also established a group especially for patients who have had Deep Brain Stimulation (DBS) and a group just for Musicians with Dystonia. 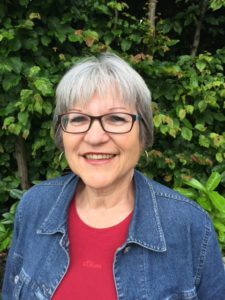 JUDY (Junge Dystonie) is our special and important group for children and young people with Dystonia. In 2013 a Segawa Group was formed. The DDG has been supported since 1993 by a Scientific Board of 15 distinguished physicians and scientists. It has always been our mission, not only to support Patients with Dystonia in every possible way, but also to voice our opinion and our needs on a national, regional and local level.